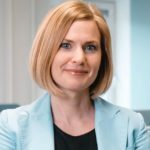 Anna Romberg is the chief ethics and compliance officer at Cargotec Oyj. Prior to joining Cargotec in 2016, Ms Romberg worked at Telia Company where she was responsible for the global anti-bribery and corruption programme and remedial efforts in the Eurasian region. She has interacted with enforcement agencies in the Netherlands and Sweden as well as with the US Department of Justice and US Securities and Exchange commission. She has more than 10 years experience in assurance, governance and compliance work in multinational companies operating in emerging markets.